Called the MCLExtreme (or MCLE for short), it’s not just an artist’s rendering intended as a fun treat for the eyes. Oh no. 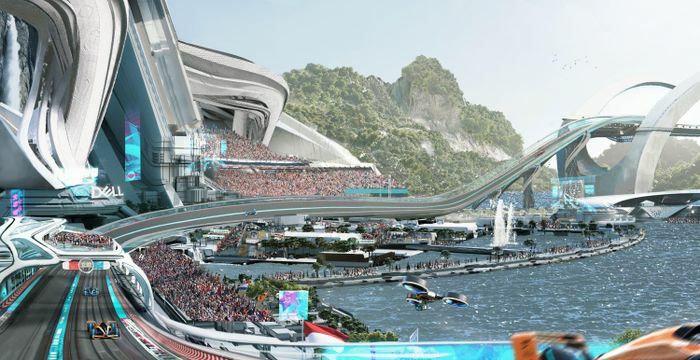 The whole thing has been designed around a future theory for how the sport of Formula 1 as a whole could actually look in 30 years’ time. First up, the car. As well as looking mega (we’re seriously behind this sort of protective canopy, should it ever become feasible) the performance is a serious step up from the current cars - which you’d kind of expect after 30 years. With a top speed of over 300mph, McLaren says the car would also have shapeshifting active aero, with the sidepods changing shape depending on what part of the circuit it’s on. 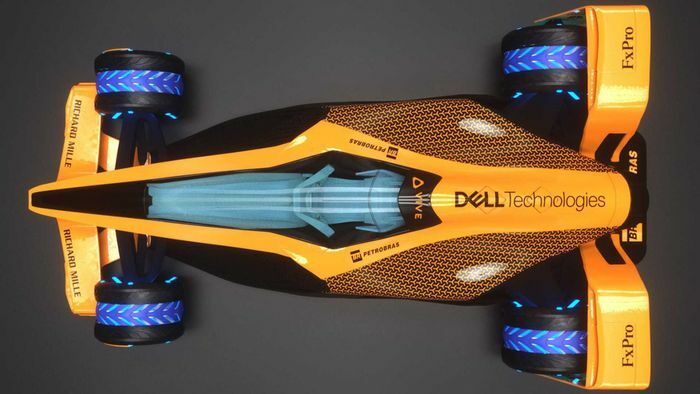 Parts of the car will also change colour depending on the emotions of the driver, allowing fans to judge whether a driver is feeling the pressure or keeping their cool. Power will be all-electric because as much as many people would love big screaming V12’s, electric power is the future of motoring - and is arguably capable of much more performance, which something we all want from the ‘pinnacle of motorsport’, right? Cars will be able to recharge by drawing power through the tyres (which are now made from a self-repairing composite, by the way) from induction loops embedded in the circuits themselves. But instead of this replacing the need for pit stops, McLaren suggests it could become a new strategy feature in itself. Cars will have to recharge by driving through the ‘E-pitlane’, but will be able to recharge quicker by driving through it at a slower speed. That would mean decisions have to made as to whether one slow stop is better than multiple fast ones. Even the way those strategies would be decided is different. 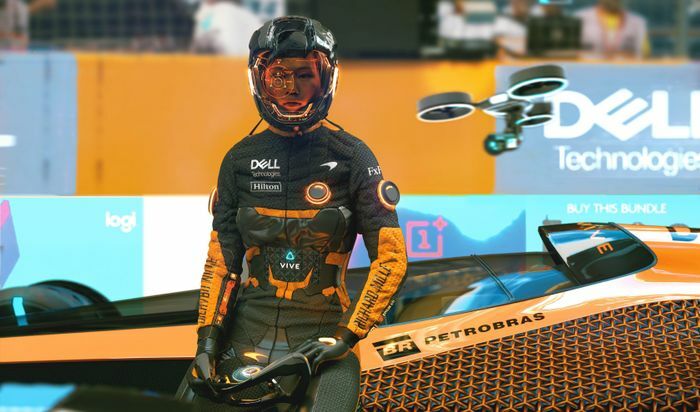 Instead of having a traditional pit lane set up with engineers at the track and at the factory running simulations and communicating that back to the drivers, the role would instead be played by artificial intelligence. 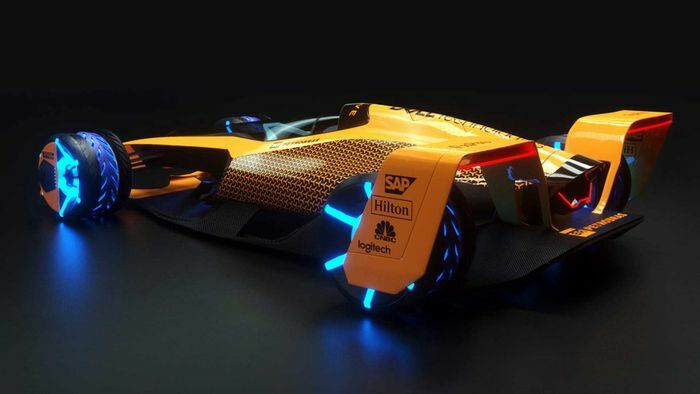 Each driver would have their own AI ‘co-driver’ which not only relays the information, but learns it during the race and adapts its advice to the state of mind of the human driver. Ahead of each weekend esports events would be held, with the data from those races being incorporated into the AI, further closing the gap between real and virtual. All sound a bit too techy for you? McLaren’s got it covered. 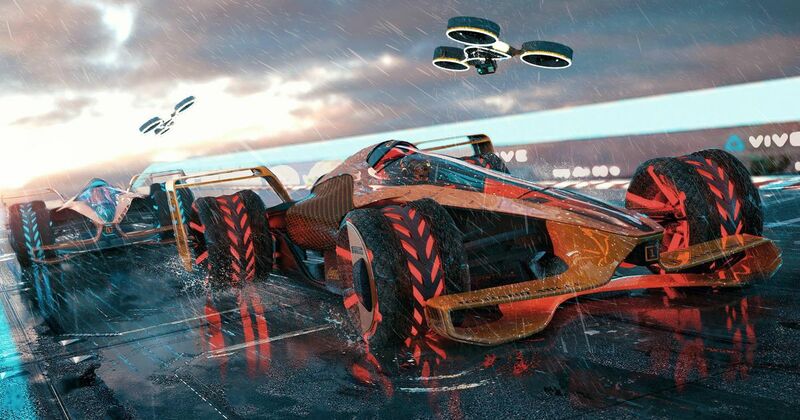 Each race would apparently have a ‘black out zone’, where all the AI systems and team communication will shut down, leaving it entirely down to the skill of the driver. This radical change in tech would also mean changes to the type of circuits. With speed, downforce and safety levels all increasing, McLaren suggests races could take place on tracks with extreme gradients and seriously banked corners. Think of the game Wipeout and you’re pretty much there. Instead of replacing traditional circuits, the new features would be added on as extensions to existing ones, retaining a link to the sport’s history while also moving things firmly into the future. 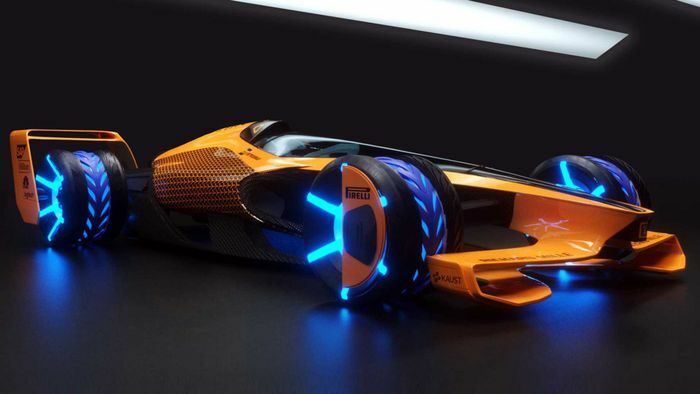 McLaren says this entire concept has been based on the feedback from fans, who want to see exciting racing combined with advanced technology while still being accessible and focused on the skill of the drivers. That’s an incredibly difficult compromise to achieve but you have to say, it seems like everything has been covered. Not only that, but McLaren has worked with tech experts to come up with a blueprint which is buried in realism and not fantasy. F1 in 2050 probably won’t look anything like this, but it could. We think it all sounds rather epic - it’s incredibly different, sure, but still recognisably Formula 1.